This Book of Evidence (BoE) sets a strategic vision on policy action to deliver better care for people with neurological and chronic pain disorders in the EU. It will be used as the core policy document of the MEP Interest Group on Brain, Mind & Pain – which will continue after the upcoming EU elections for the next 5 year mandate. 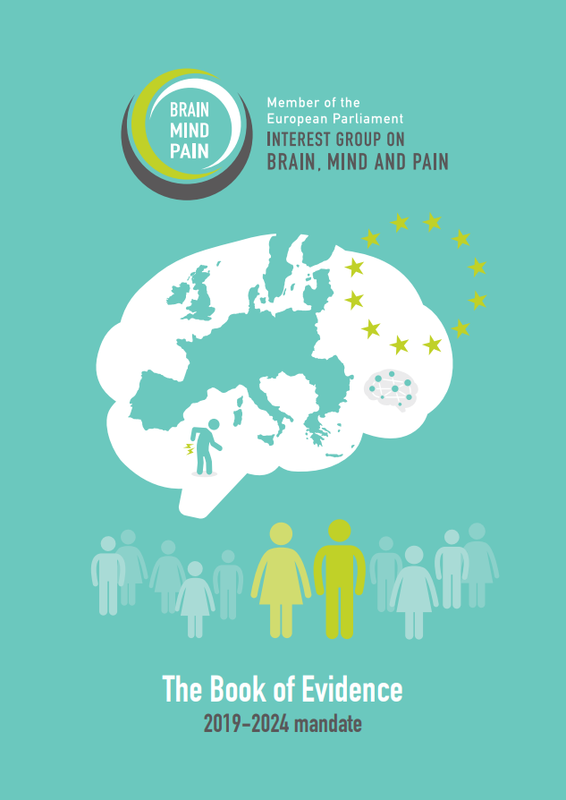 On today’s publication of the BoE, the European Brain Council President, Prof. Monica Di Luca, says: “As supporters of the Interest Group on Brain, Mind and Pain over the last years, EBC is pleased to share this brand new Book of Evidence for the 2019-2024 EU Mandate and congratulates EFNA and PAE on this fantastic and important piece of work. With over 220 million people in the EU living with neurological conditions and over 150 million with chronic pain, we hope that this Book of Evidence will inspire policymakers and stand as a guide for policies and support in addressing the key challenges of stigma, access to treatment and support, as well as patient empowerment, involvement, and engagement.”.